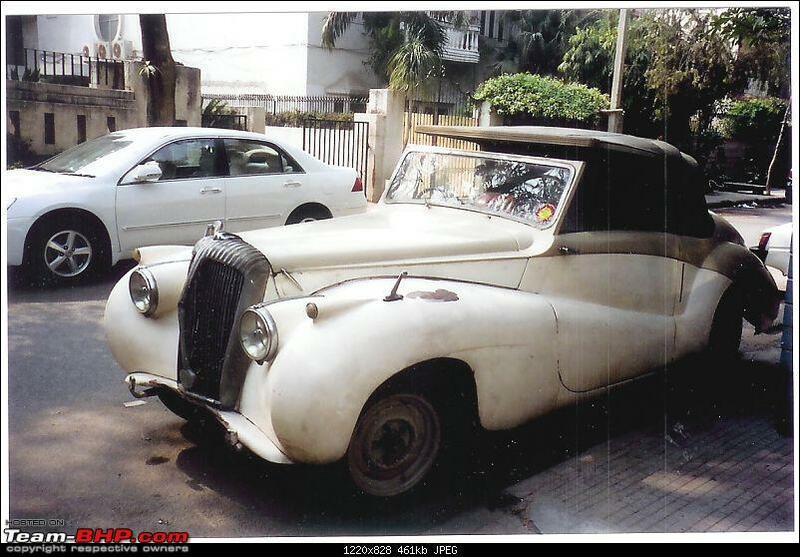 Could be the Bombay Daimler. 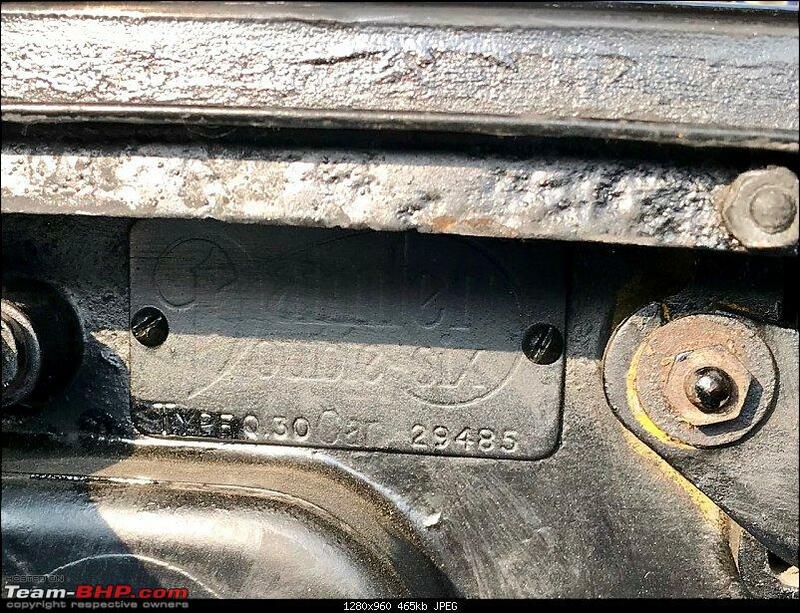 BMX 707. 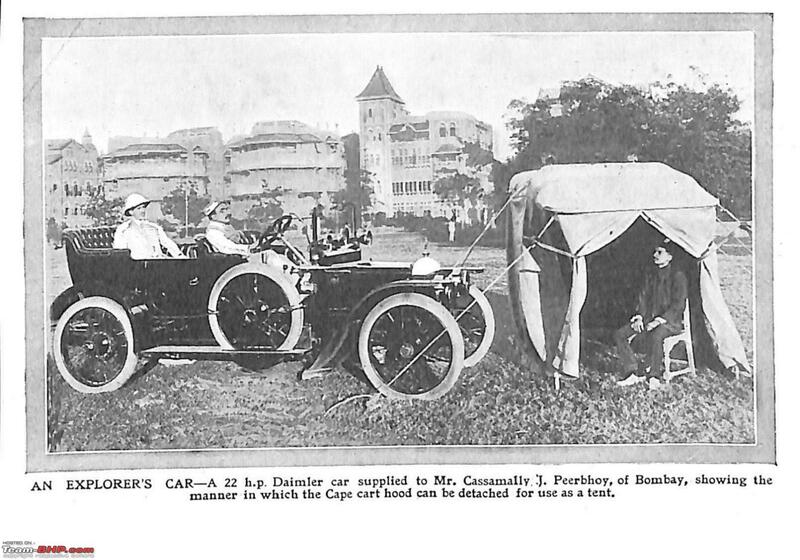 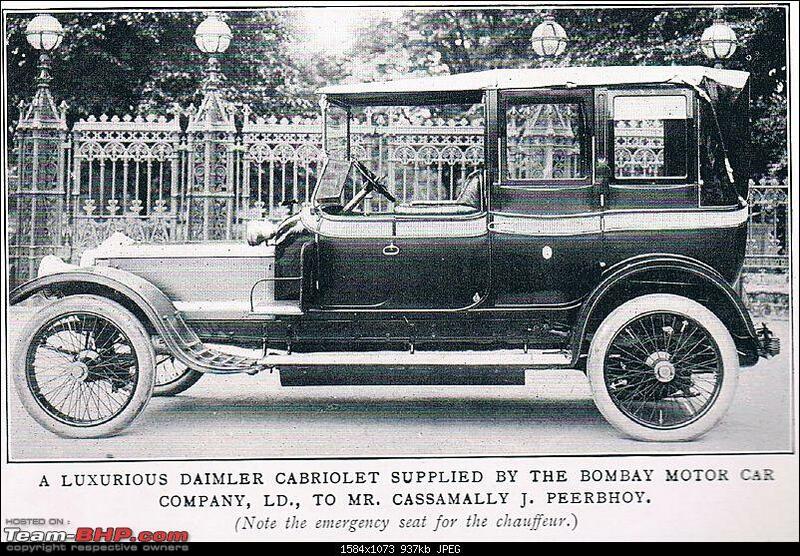 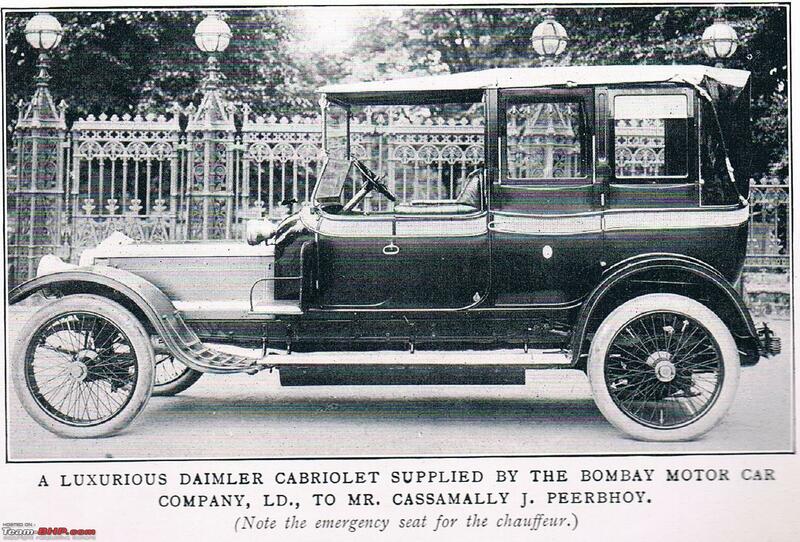 I am posting pictures of two great Daimlers owned by Cassamally J Peerbhoy. 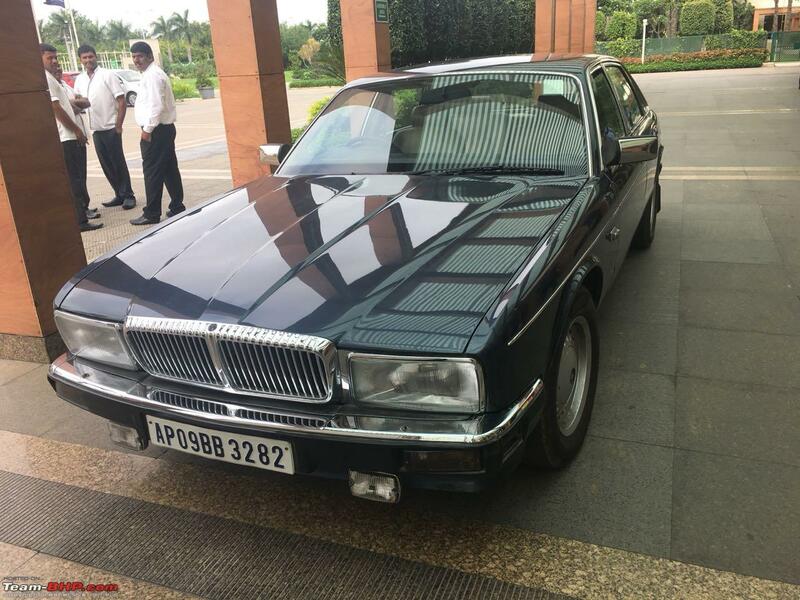 Maybe these are a bit too young for this thread and a bit too Jag. 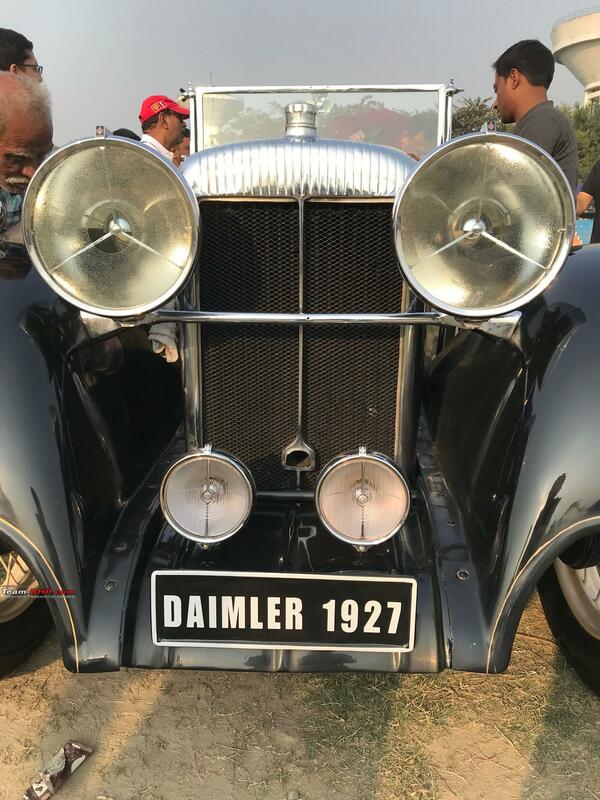 Two more Daimlers for the record. 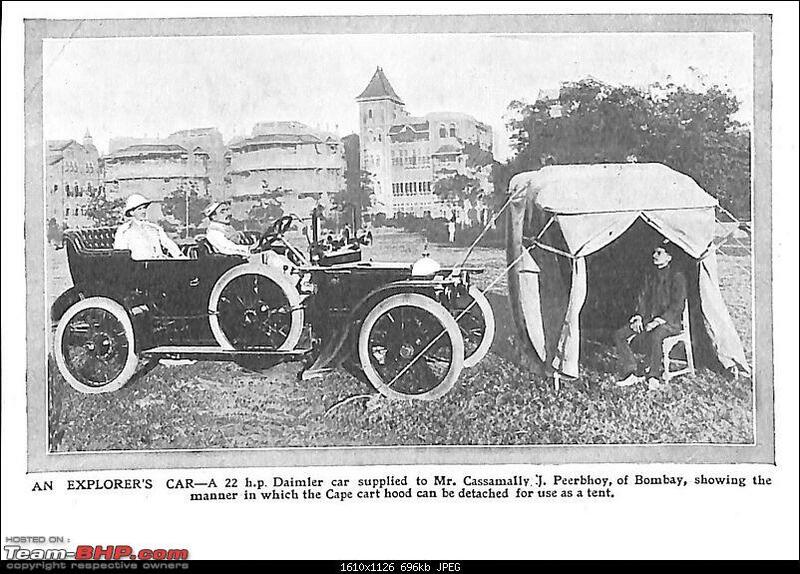 Both appear to be Daimler Conquest's. 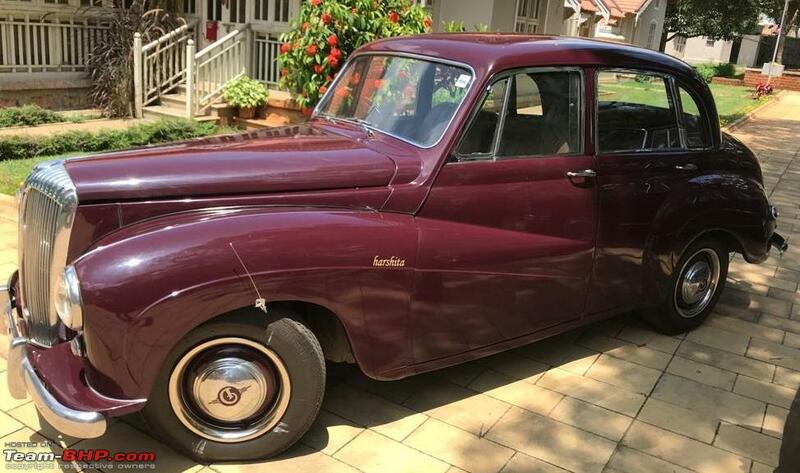 This one is currently in Mysore. Anyone knows its history? 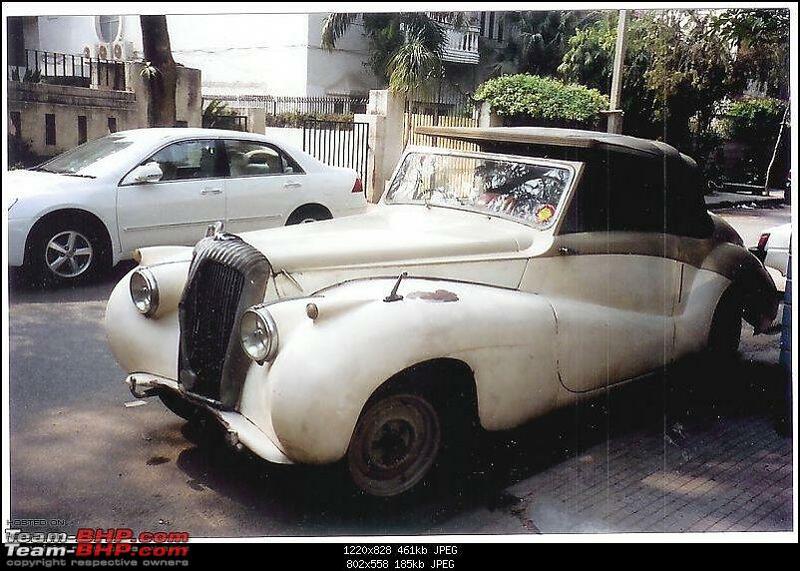 It was last part of a Delhi collection, where it was proclaimed to have been Ashok Kumar's car at some time. 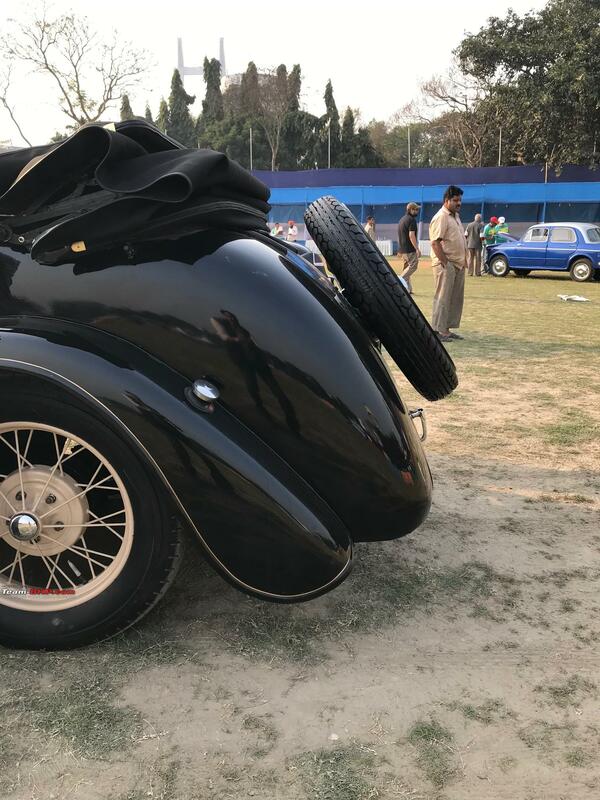 Subject to correction. 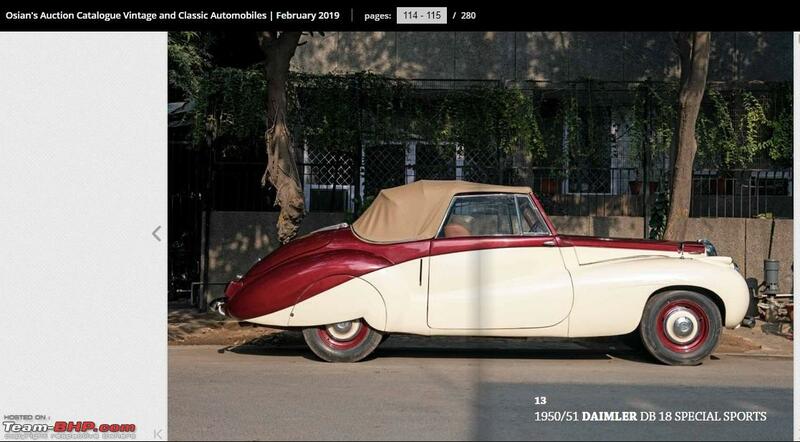 The Damiler is registered FARIDKOT 451. 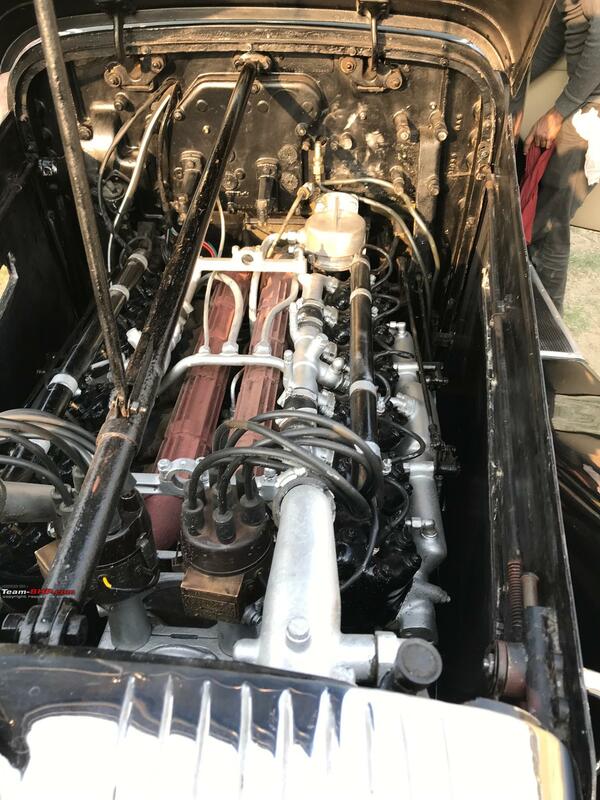 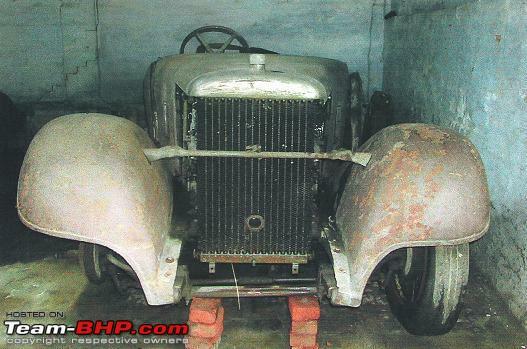 Is the Bentley Chassis number known? 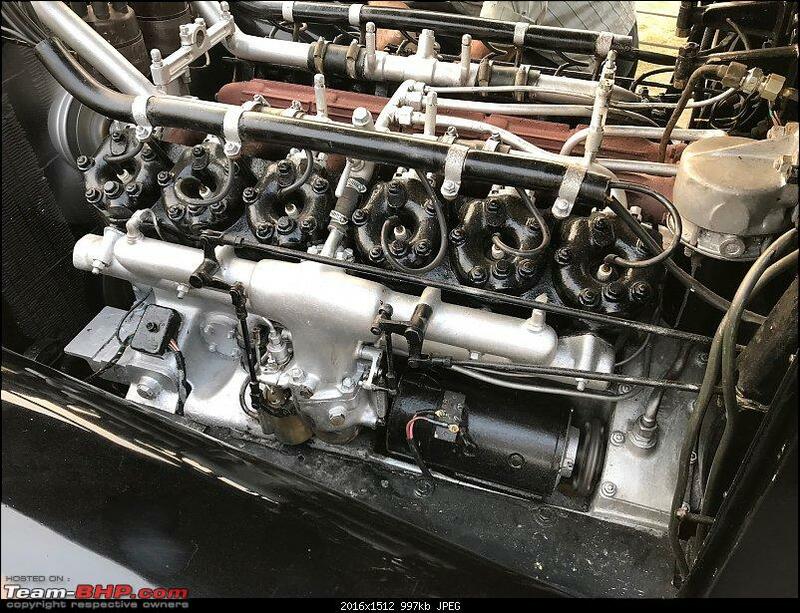 is there a RR on the right ? Last edited by KartikeyaL : 5th January 2019 at 17:04. 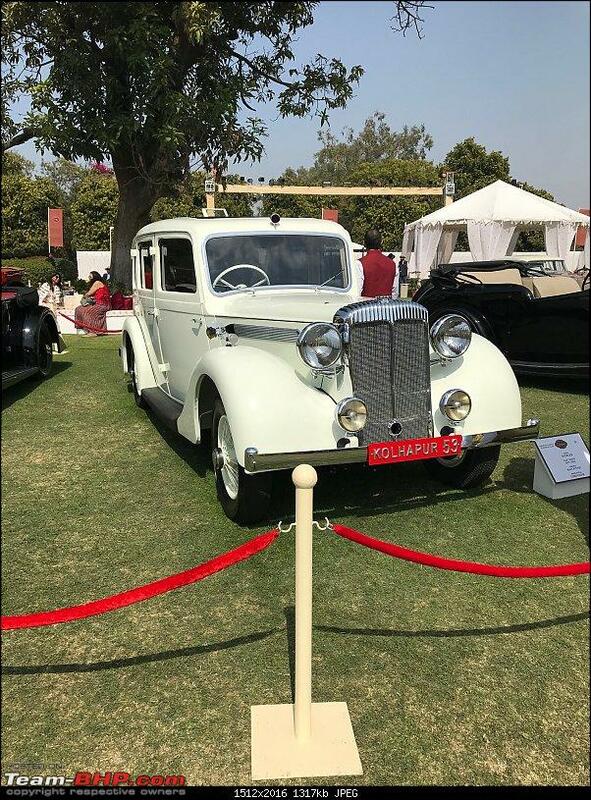 The same Daimler. 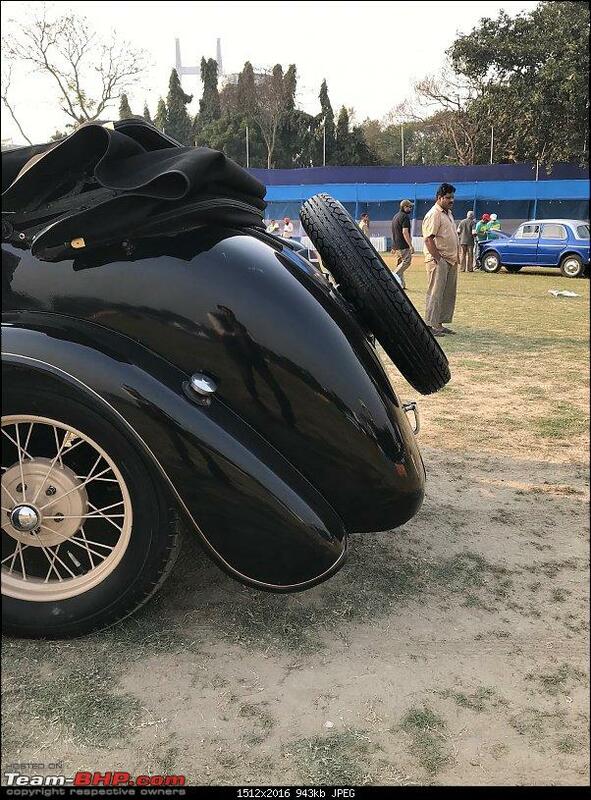 I dont think the other car is a R-R. 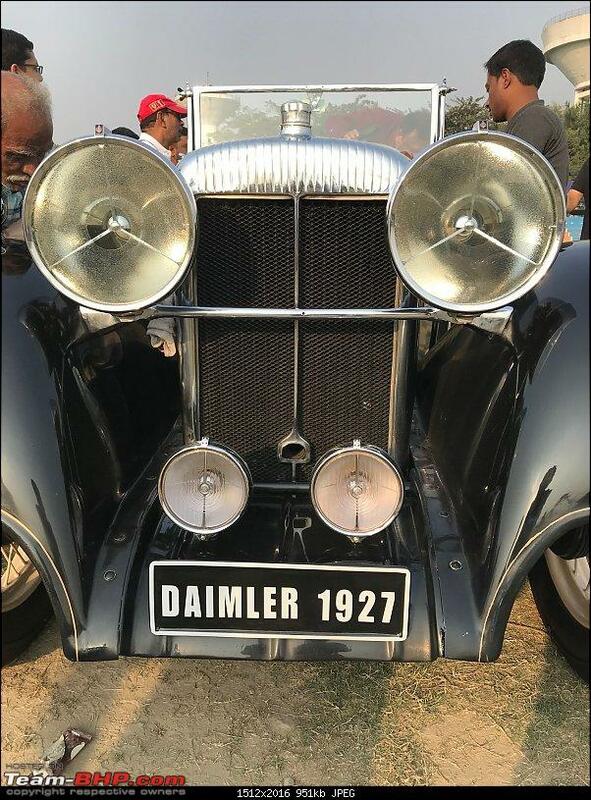 I have lately come across this local UP 1928 Daimler Double Six ( Chassis No. 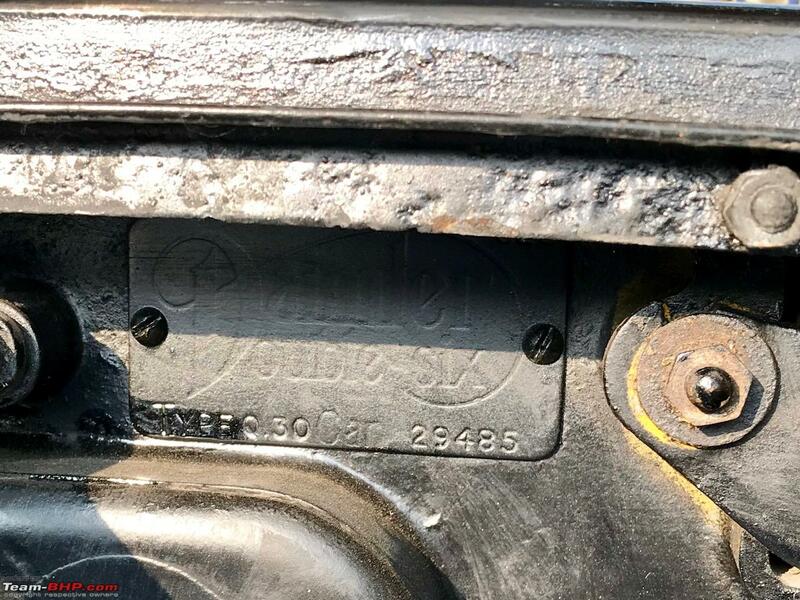 29485 / Engine No. 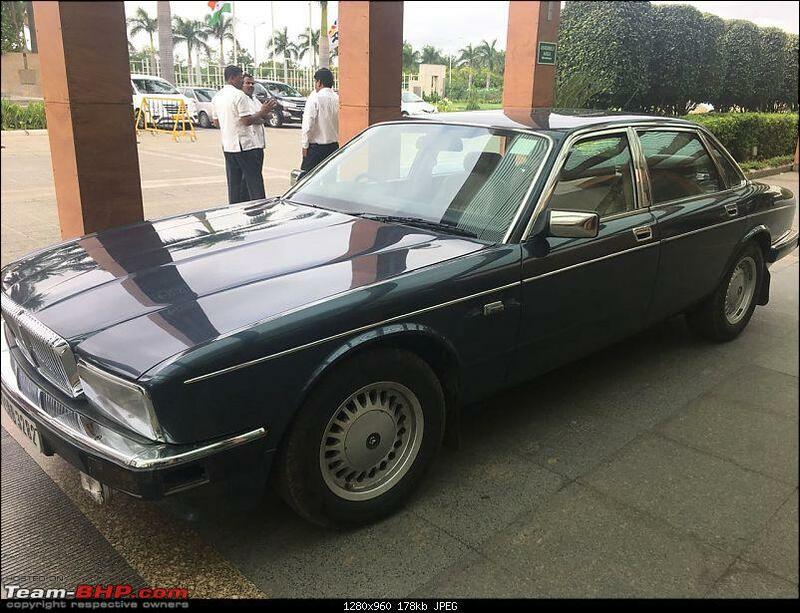 20552 ), could not find it accounted for on the forum and this was the most apt thread for the photographs. 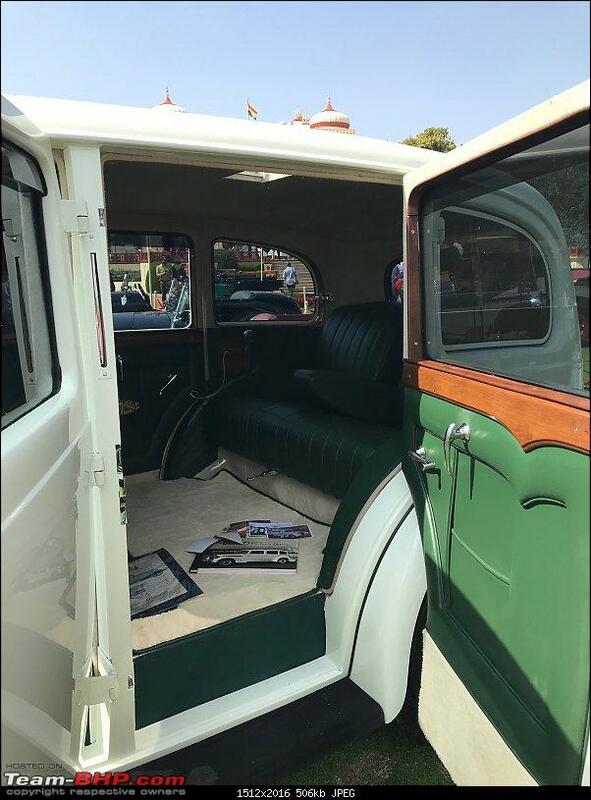 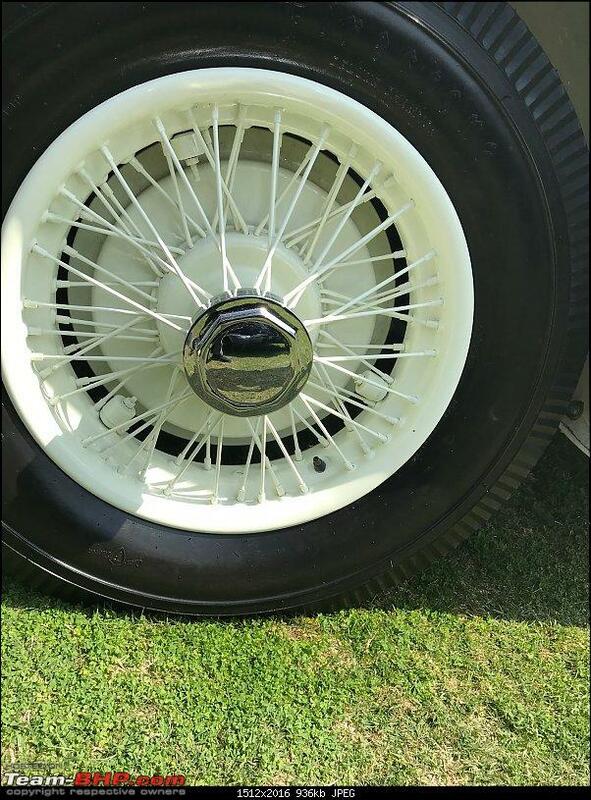 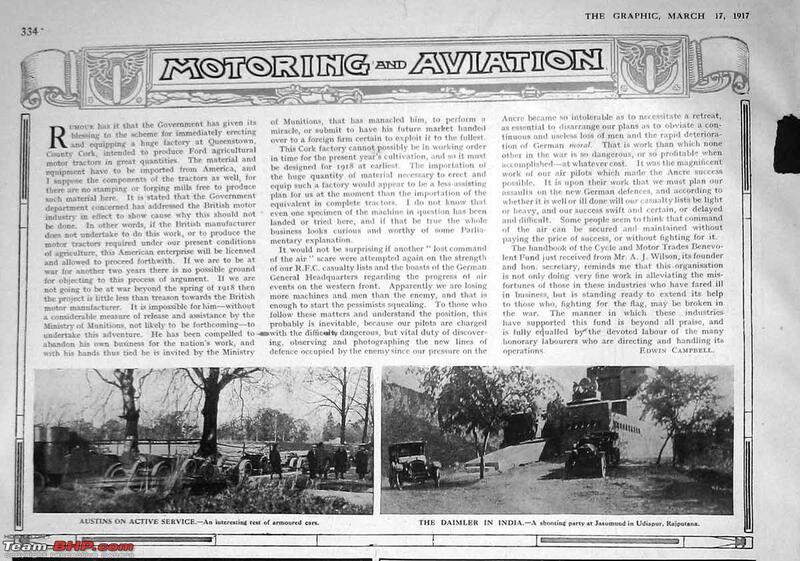 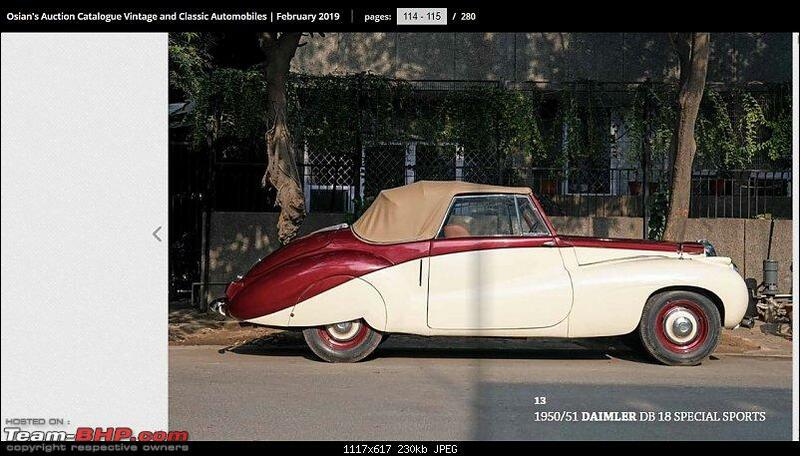 I am trying to find out more about the car , there is not much I could get from the net , would appreciate if you gentlemen could assist with some links for further information ? 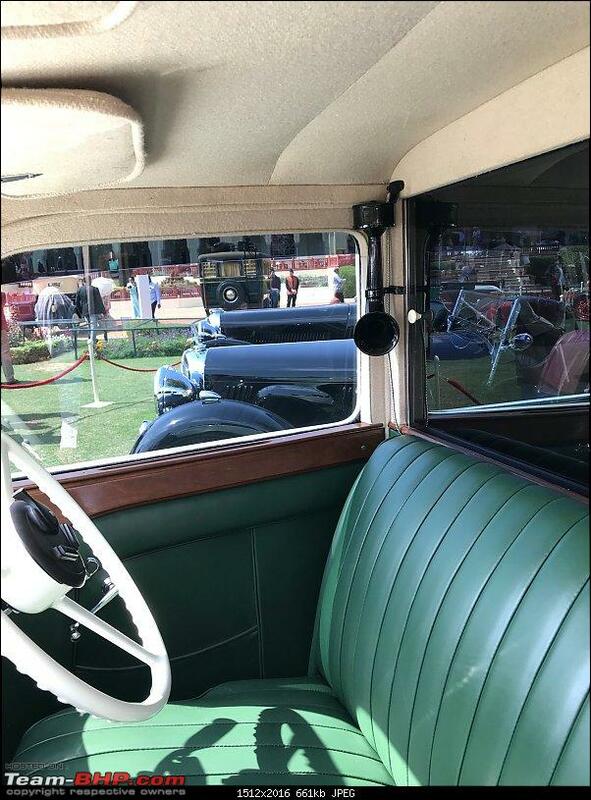 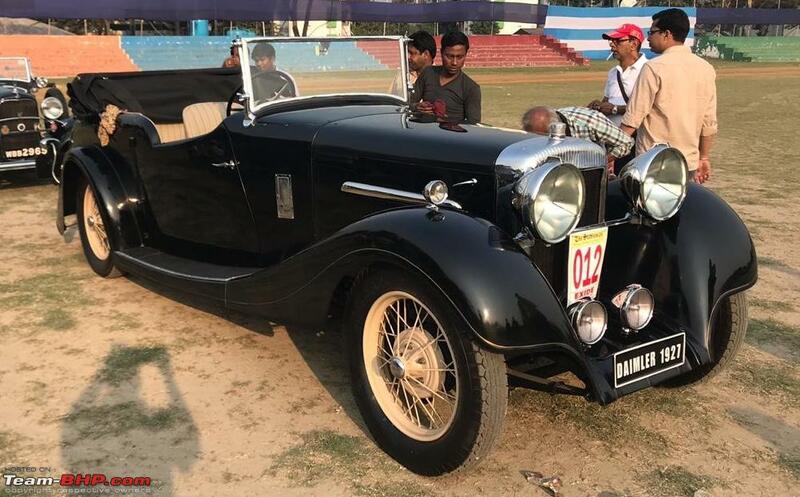 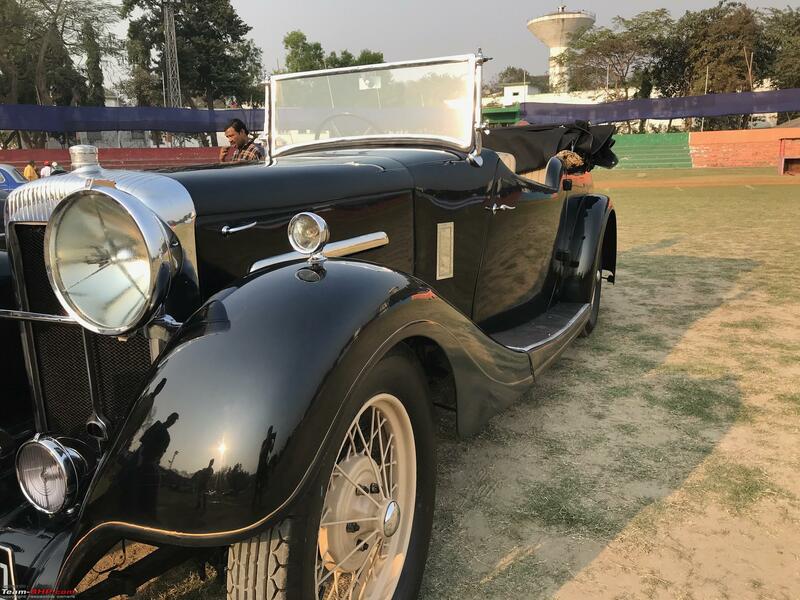 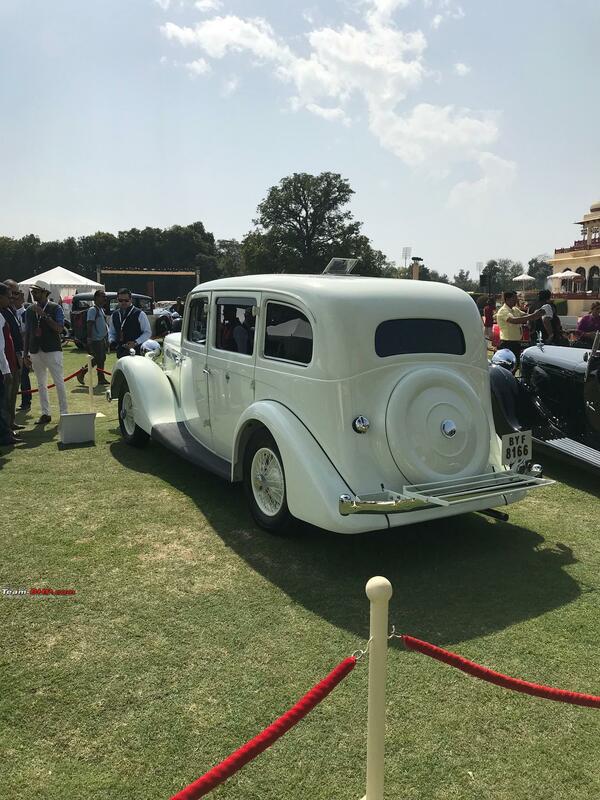 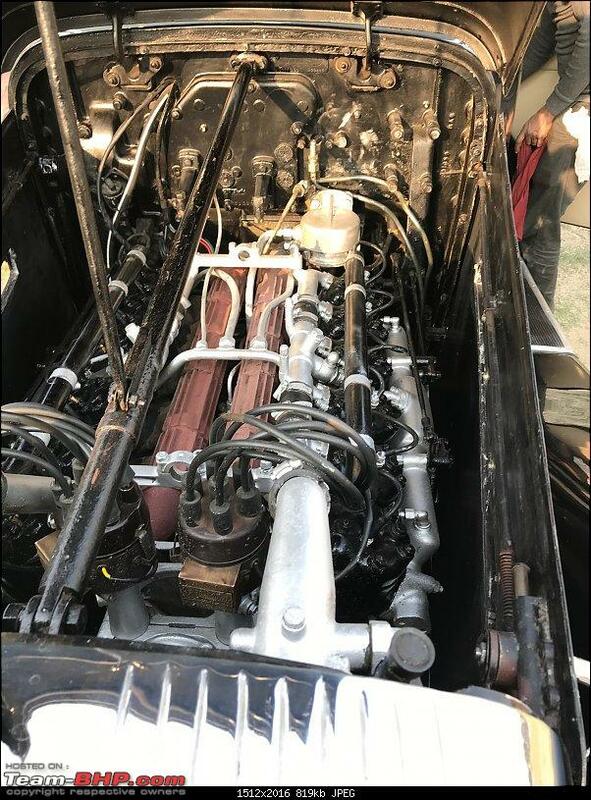 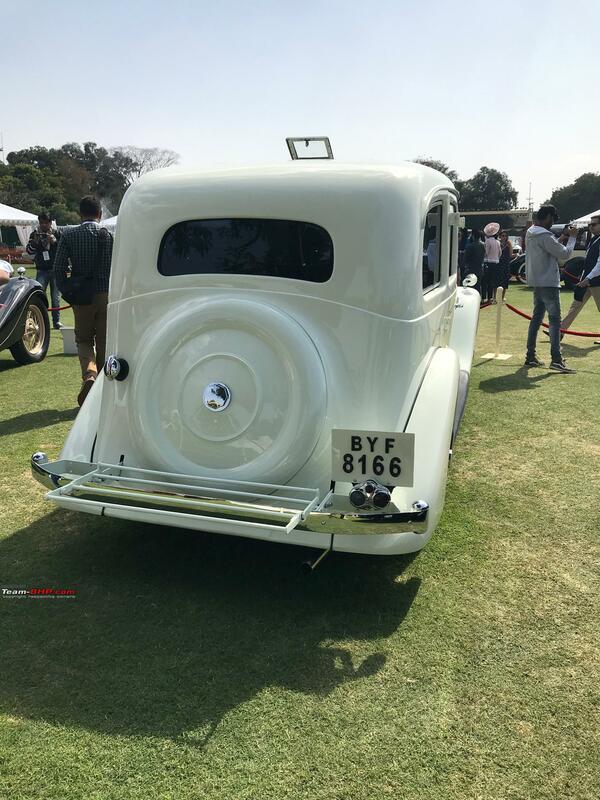 This is a 1928 Daimler Double Six type 30Q in Kanpur, has made an appearance after 60 plus years. 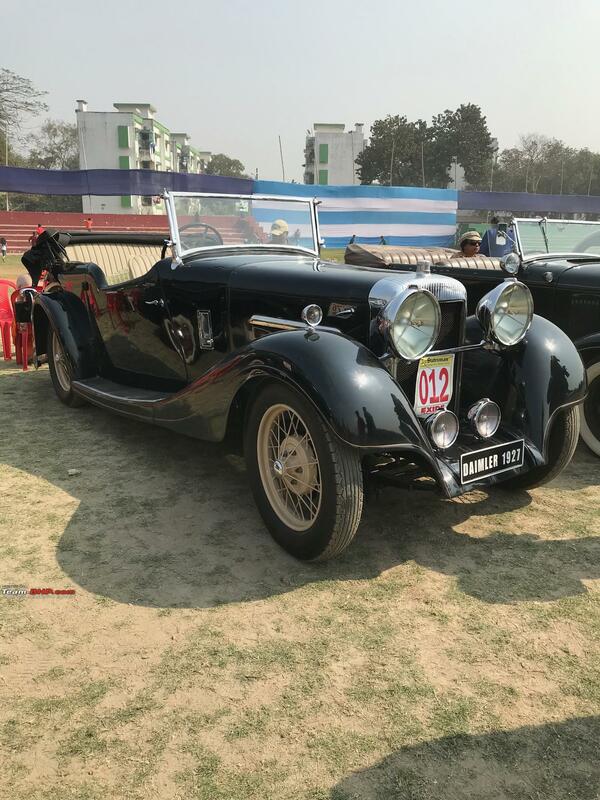 Little is known on the history of the car except that it was later re-bodied in Calcutta at some point. 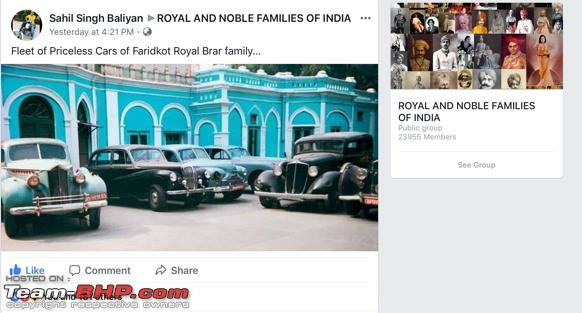 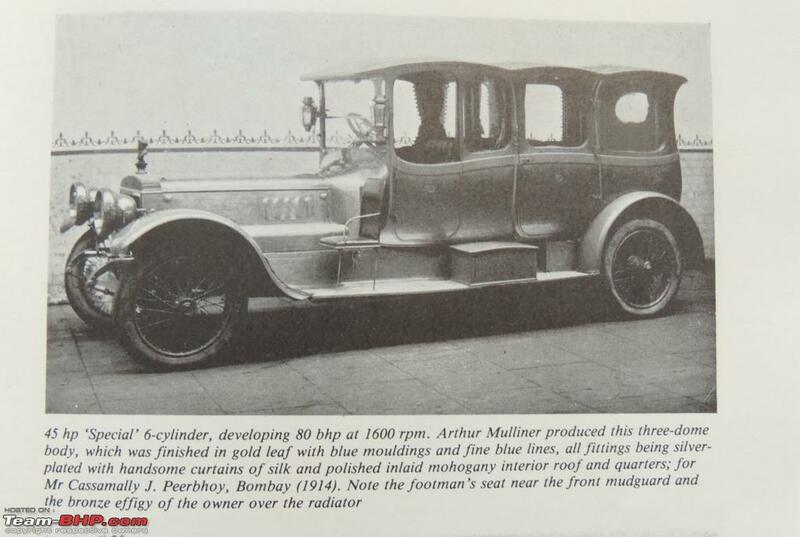 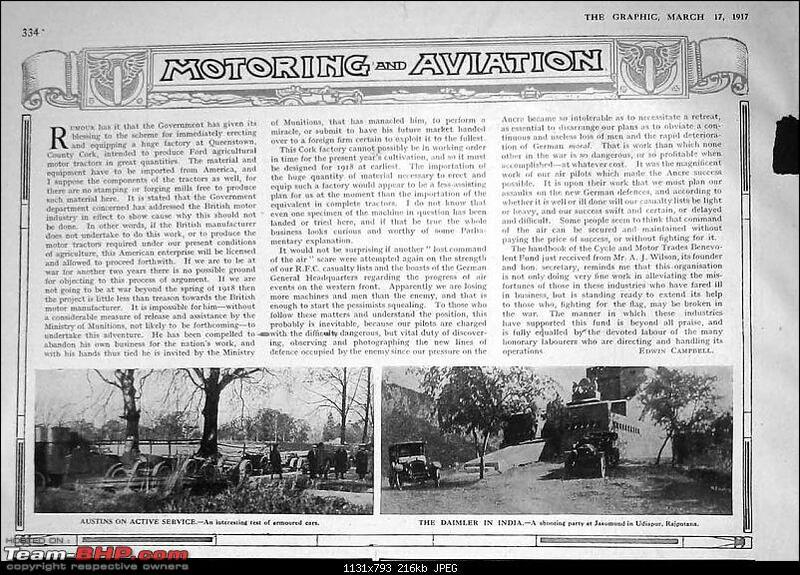 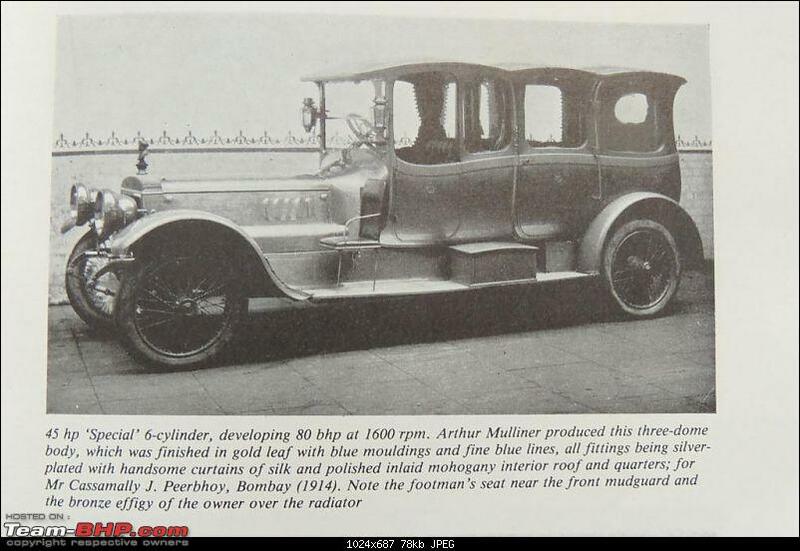 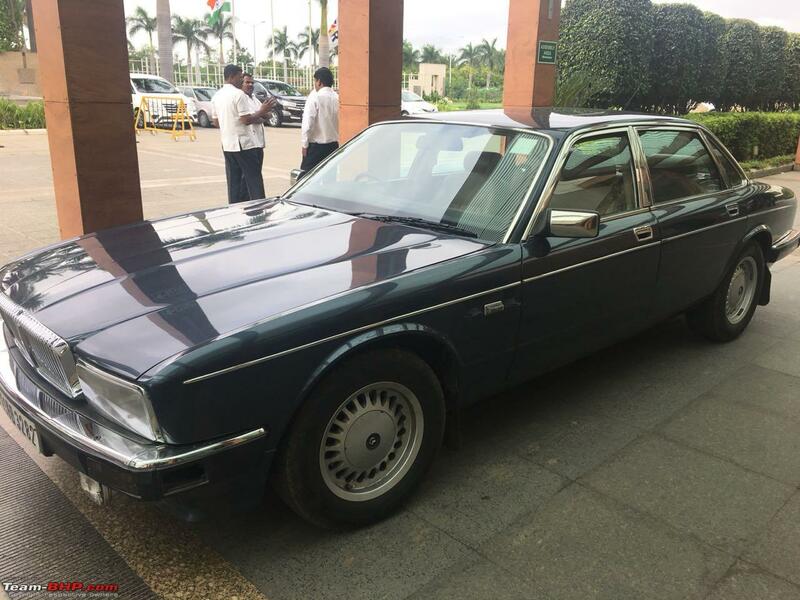 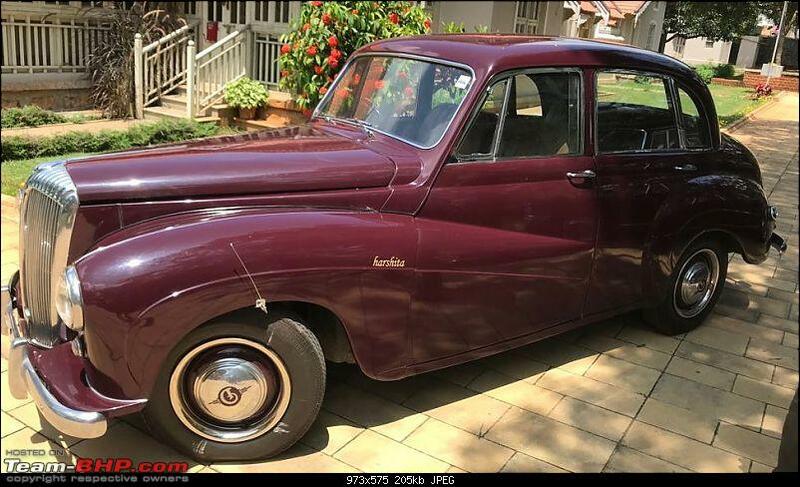 As per Brian Smith's Daimler historian, we can deduce that - "From the Stratton Instones, Agents for Daimler, there is a possibility that this car was build for their Managing Director, Mr. Joseph Makle and was coupe in grey colour. 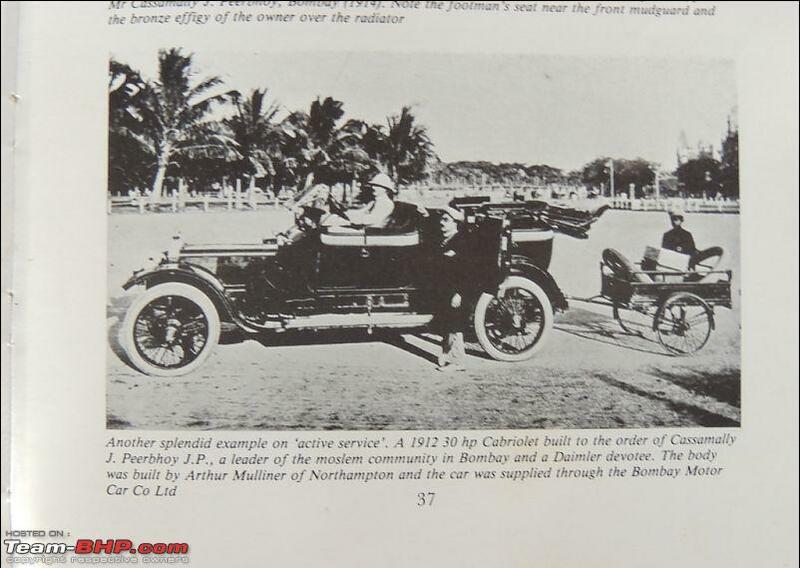 The car was registered in 1928". 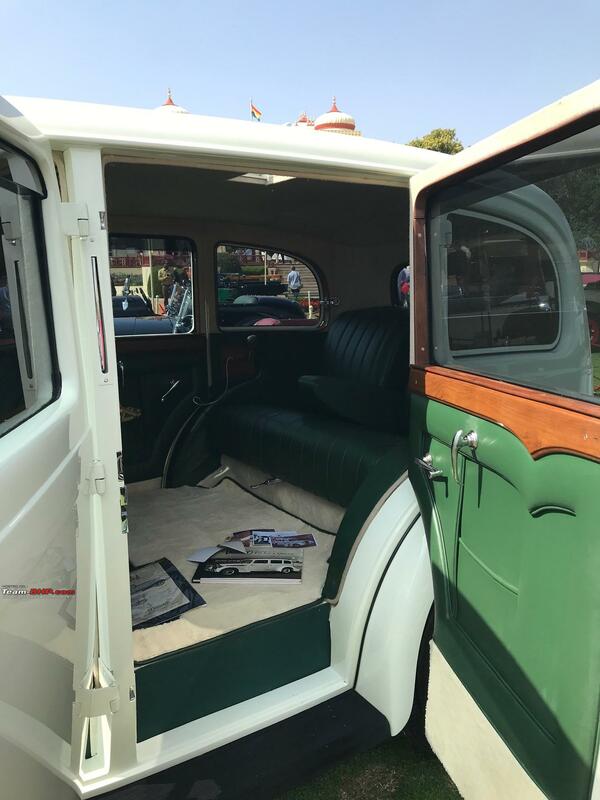 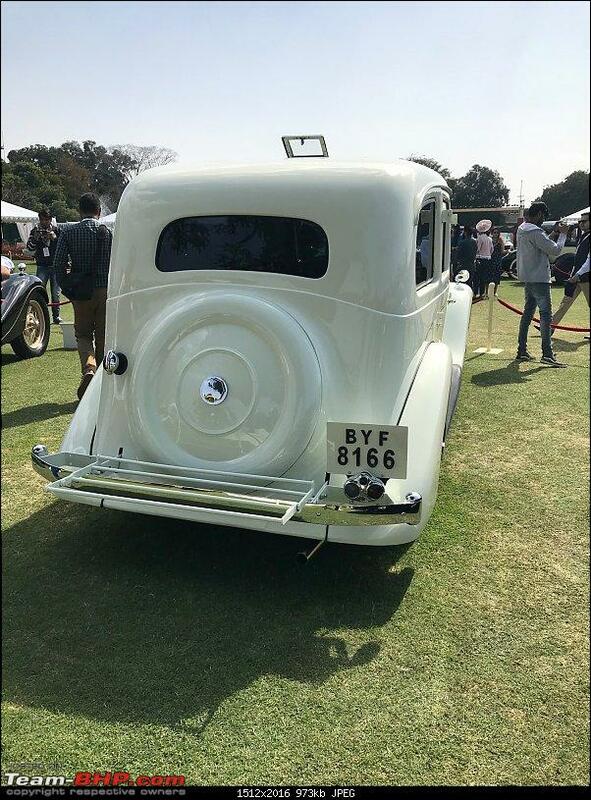 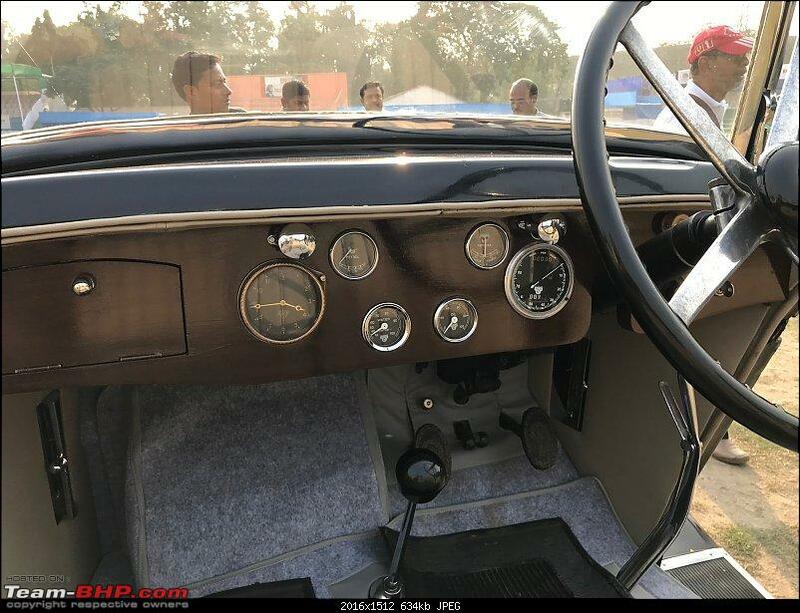 This massive car was rebodied and restored by the workshop of Mr. Sanjay Ghosh. 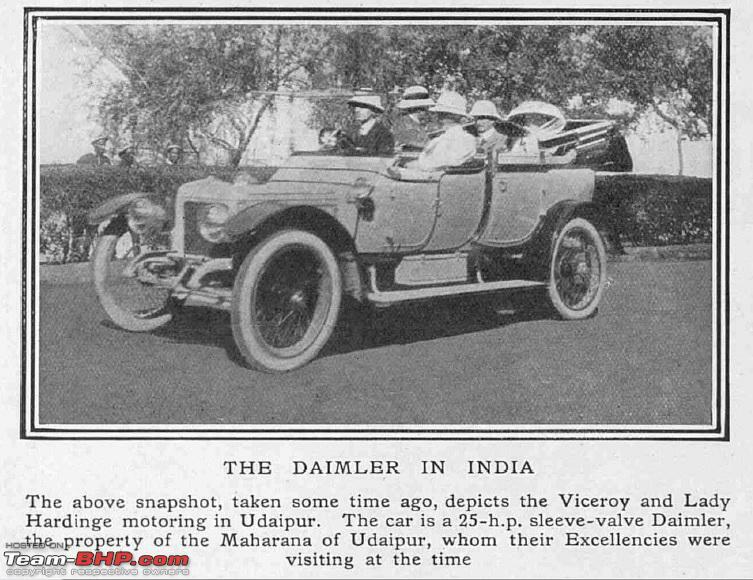 From the way this car was, it is a massive achievement. Great to have this car back ticking. 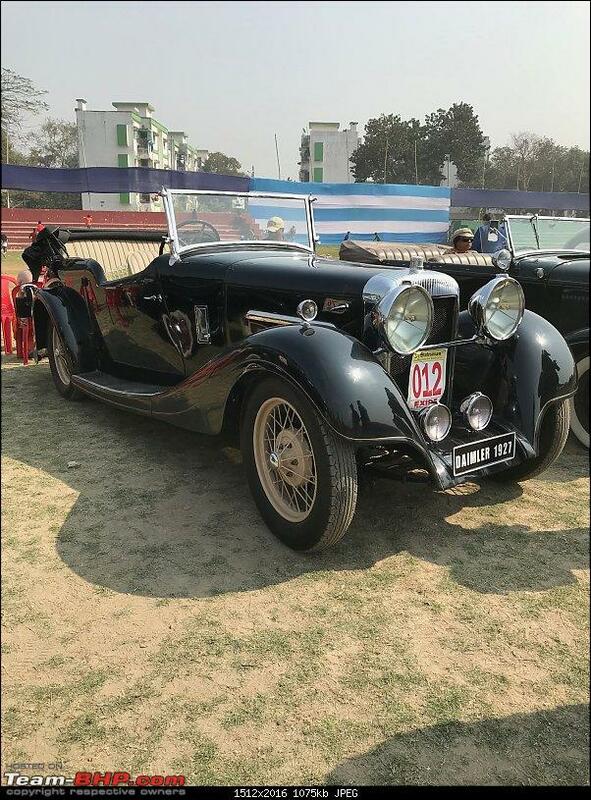 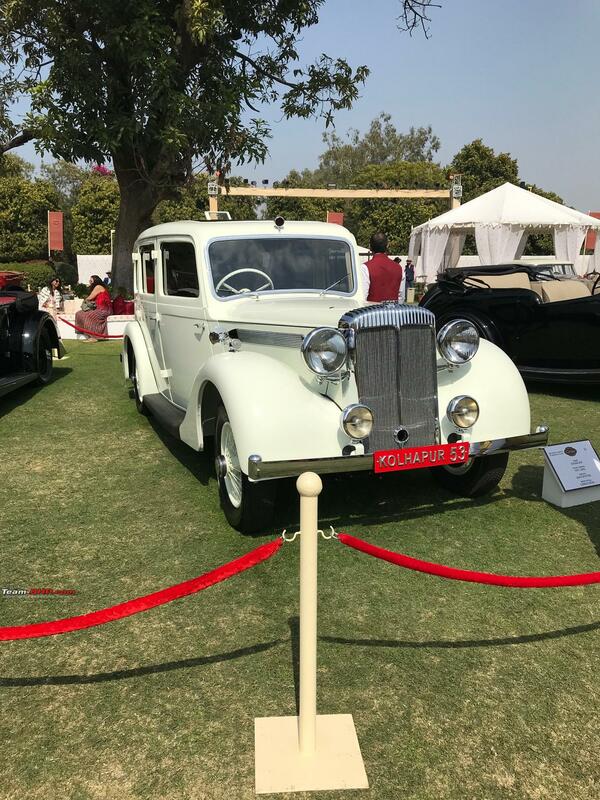 The Daimler 2 1/2 litre Barker Special Sports in Delhi. 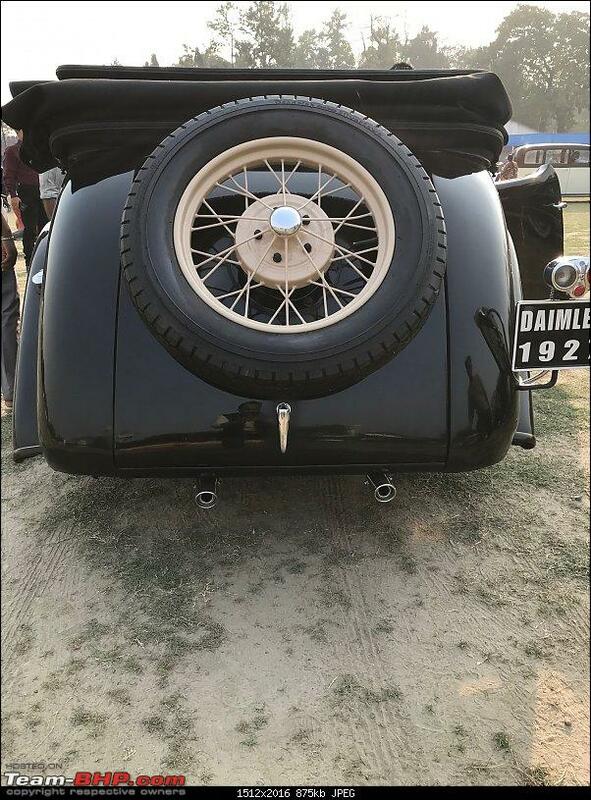 The hubcaps,bumpers and rear wheel spats are with the car. 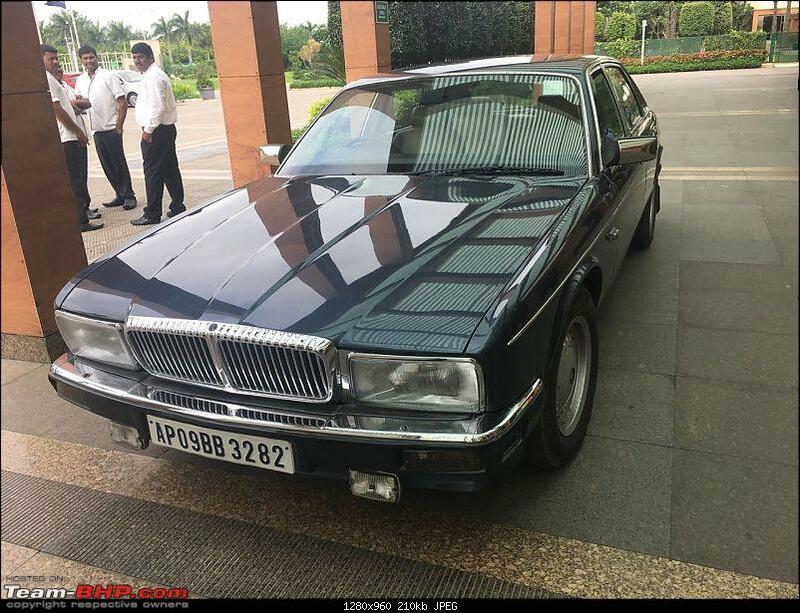 I got it running about 1991, since then it has been mainly stored. 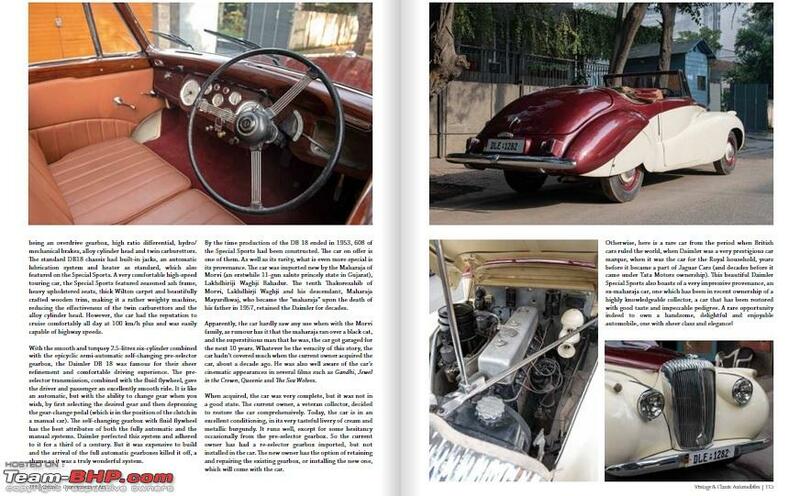 Happy to see that this car as been restored and is available for auction. 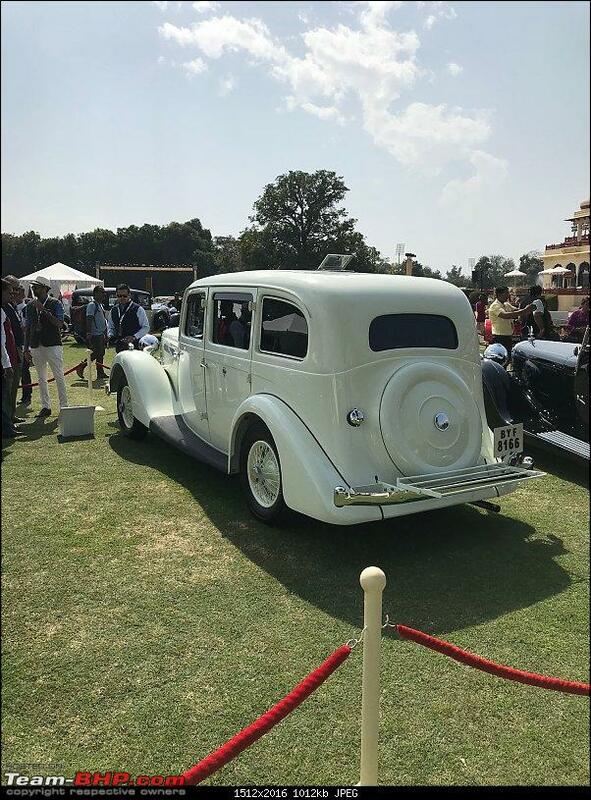 The car was originally bought by the Maharaja of Morvi, Lakhdhirji Waghji Bahadur, an erstwhile 11- gun salute princely state in Gujarat. 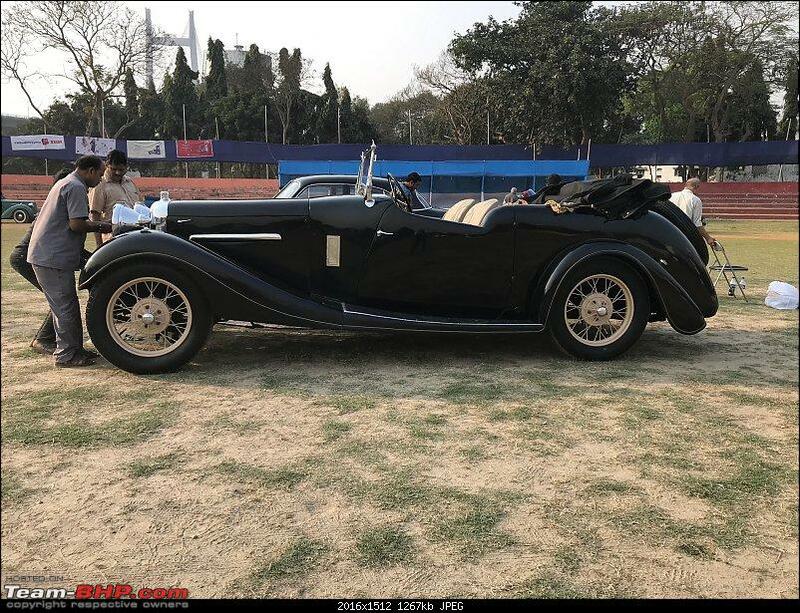 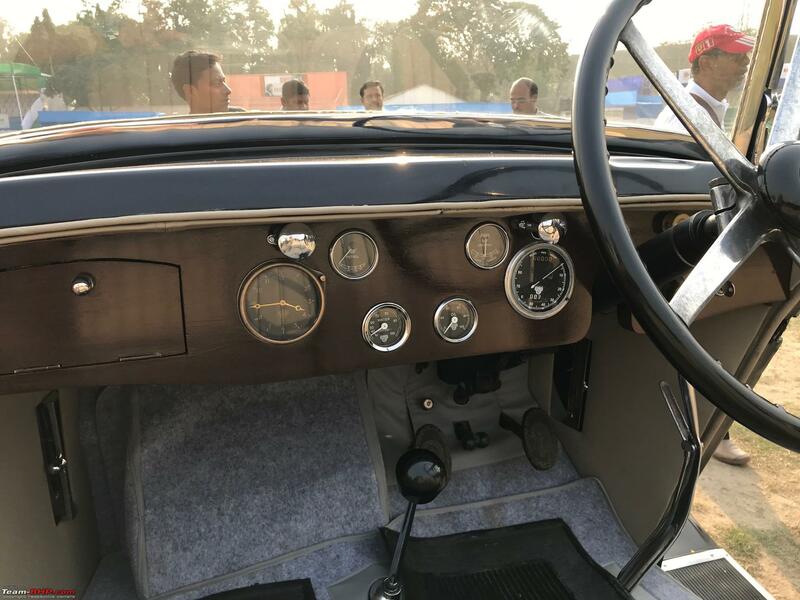 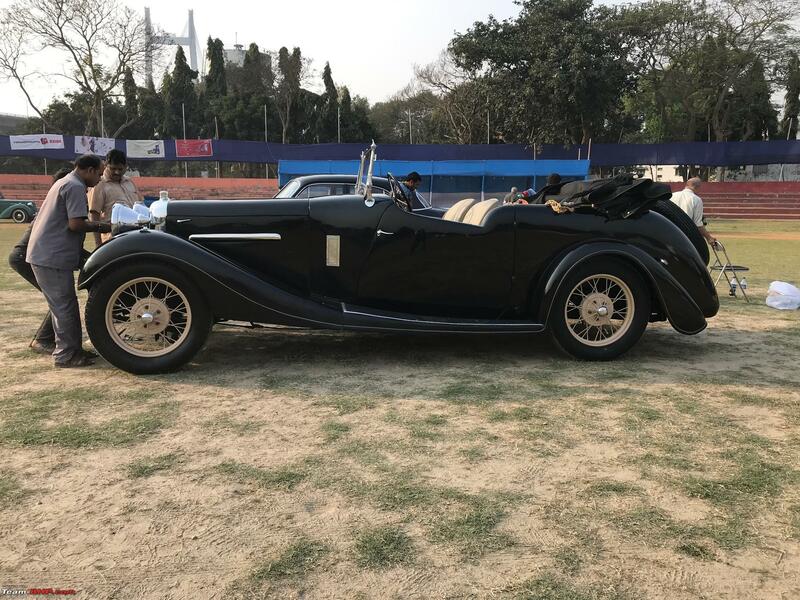 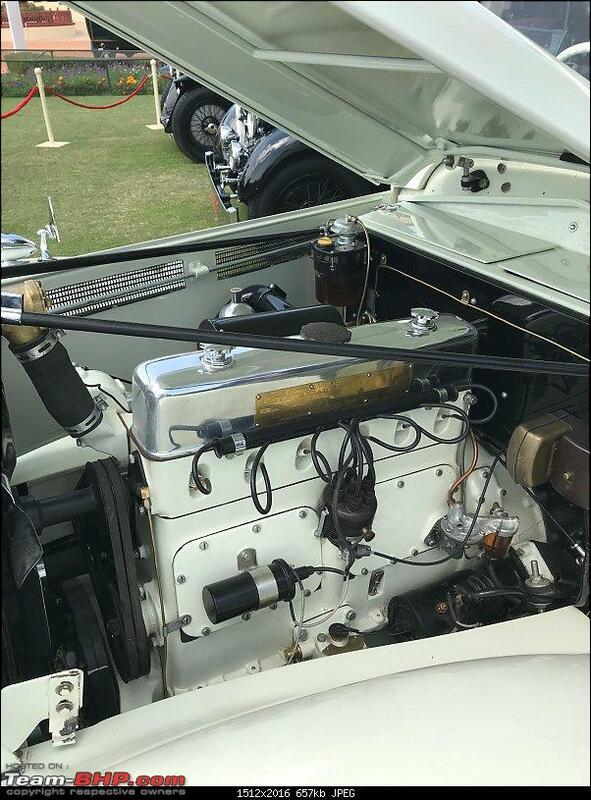 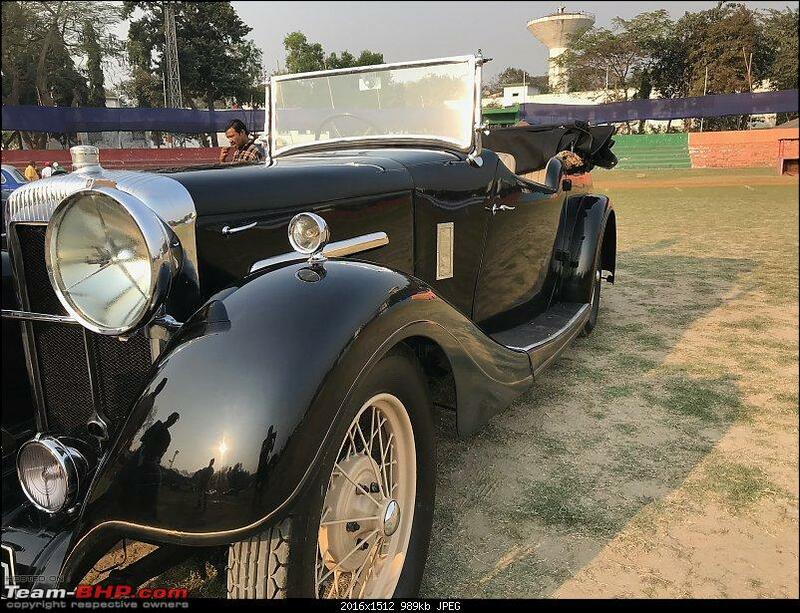 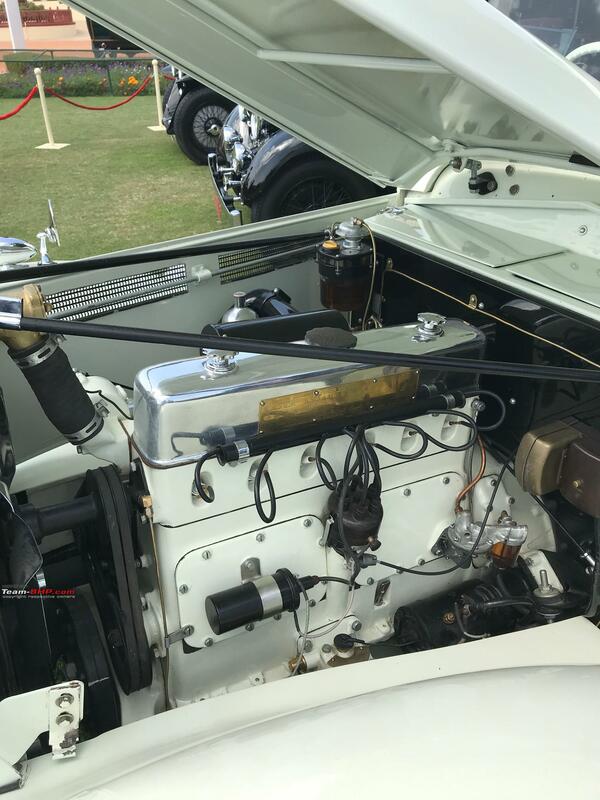 The Ex-Kolhapur 1937 Daimler EL24 has been recently restored.